Australian Goldfields Open Final will be performed by Stuart Bingham and Mark Williams tomorrow at Bendigo Stadium, Victoria. Stuart Bingham sailed to the final by beating Shaun Murphy 6-2. Being a first-time semi-finalist in ranking events, he stepped further to through to his first ranking final. He hailed the achievement as the finest of his career. 35-year-old opened with 114 in the first frame and went 3-1 up on Murphy. Murphy was not in form today which led Bingham extended his lead to 4-1. Bingham reached the match point 5-2 but he faced some pressure on winning. 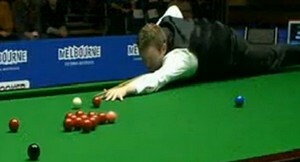 Eventually he ended the match 6-2 which stopped Murphy from further move closer. "All the hard work and dedication has finally paid off," said an emotional Bingham. "At one stage I nearly dropped off the tour and lost ten matches on the trot. I was about 76th in the rankings when there were only 90 players. "As the years went on you start doubting yourself." Bingham also credits the influence of regular sessions with shot alignment specialist Stephen Feeney at SightRight as being a major factor in the improvement in his game. "It has been a good couple of years and it's good to get myself back to where I think I belong. I've got my fiancé (Michelle) and am just more happy off the table." Big Congrats to Bingham who moved to the ranking final for the first time. 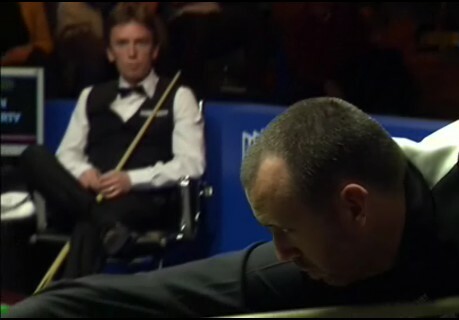 Once again - he allows his snooker to speak for himself. He needs to handle the winning pressure otherwise it will hinder him. Some silly misses from Bing appeared at the end of the match. 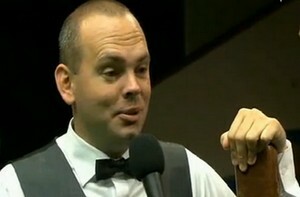 Bingham needs to hold his nerve before heading a victory. Anyway good luck to Stuart! Murphy's defeat won't do much harm to him. I believe Murphy will go further in the future ranking events. Before Bingham trying to get his ranking title, he needs to overcome Mark Williams. 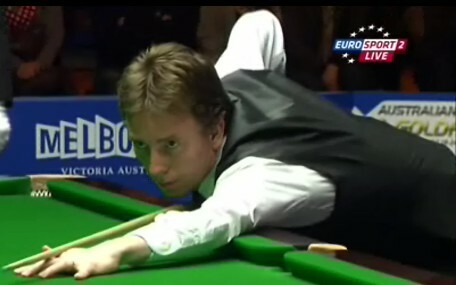 'The Welsh Potting Machine' secured a 6-2 win over Ken Doherty, which was a repeat final of 2003 World Championship. The Welshman made two centuries 110 and 106, 56, 53, 49, 47, 48 to continue his hope on winning his 19th ranking title. 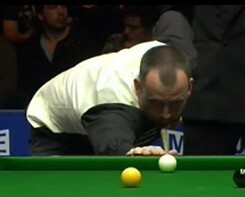 Williams sped 3-1 smoothly before mid session but he started to struggle a little bit afterwards. Unfortunately the same happened on Doherty. Williams recovered soon to win 6-2. "It was a tough game and Ken didn't miss a lot," said Williams. "It's not easy to get to the final so I'm just going to enjoy it. I probably haven't got many more finals in me left." Doherty was disappointed with his lost but he admitted that he had a good run: "Every day is difference and you have to push yourself on but I've had a good week and it's been a good way to start the season." Williams had an amazing record in overseas ranking events. Will Australian Open become his second ranking title this year apart from German Masters in February? He did not encounter many troubles today. It maybe too easy for Mark. He needs to aware Stuart tomorrow, raise his game to the form when he is playing Dale because he wants it badly. It's really nice to see Ken climbing up on the rankings and appear in later stage of ranking tournament. Good start for him in the new season.